Using Raspberry Pi GUI without mouse may not be an easy job, but there are some shortcuts that will allow you to get to some key features. At least you can open Run dialog with an keyboard shortcut, and type your commands there. For more commands, take a look at here. There is also a good command cheatsheet in this page. 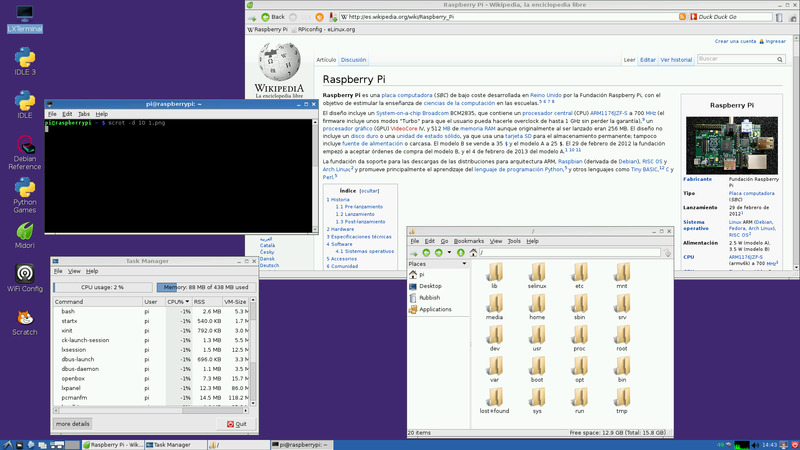 Raspbian is operating system of mini-computer Raspberry Pi. Since 2015, it is provided officially by Raspberry Pi Foundation as the primary operating system of Raspberry Pi computers. It is highly optimized for low performance ARM CPUs and still under active development. What is your favorite Raspbian hotkey? Do you have any useful tips for program? Let other users know below.